Updated Thursday January 10, 2019 by Standish LL. Our league boundaries consist of the towns of Standish, Steep Falls, and Limington. If your player is ages 4-6 and from Limington, please contact Limington Town Hall for their T-Ball and Coach Pitch Baseball programs. 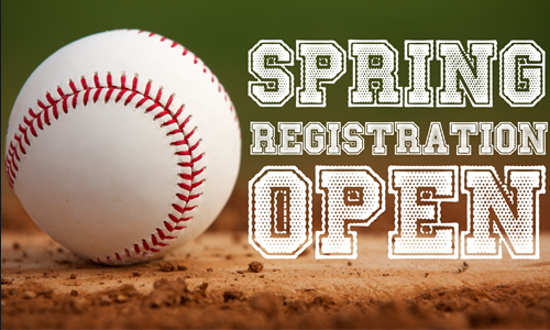 All new families in 2018 Spring season will need to create a new Standish Little League account in order to register, unless they played previous years for Standish LL Baseball and/or Softball or Bonny Eagle Fall Baseball over the past couple Falls. If you have a Standish LL Sports Illustrated Play account, you can just start registering your player(s) for the 2018 Spring Season because their name(s) should already be in the system. You will create one Member Account per family which you will use to register every player in your family. You will have the opportunity to register additional players after you have fully completed the first player's registration. Complete your registration by providing required documentation. Players new to Standish Little League must provide a copy of a state-issued birth certificate (to verify age) and EVERY PLAYER EVERY YEAR must have proof of residency within our league's boundaries (Proof of Residency is requested as part of the online registration as well). Welcome to the 2019 Standish Little League season! Keep an eye on your e-mail inbox for frequent correspondence from the league regarding Majors/Minors evaluations, start dates, and other important information. Contact us at any time via the Contact page of our website or by e-mailing info@standishll.org. Thanks for registering. We're so glad you'll be playing ball with us in 2018! It's going to be a great season!